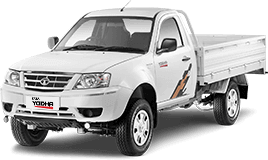 The Xenon Utility range of pick-ups is available with two engine options - the 3L & 2.2L. The 3L engine comes with AC & Non AC crew cabin models that are suitable for all our customer requirements. The Xenon crew cabin is known for its "SUV type" tall stance and rugged good looks. And its impressive performance with high power output makes it a cut above the rest. Tata Xenon crew cabins are the ideal solution for diverse commercial usage like agri produce, fisheries, milk, cash van, construction, service support, forest, government departments & other captive usage. The versatile pick up is used for the movement of goods as well as crew. 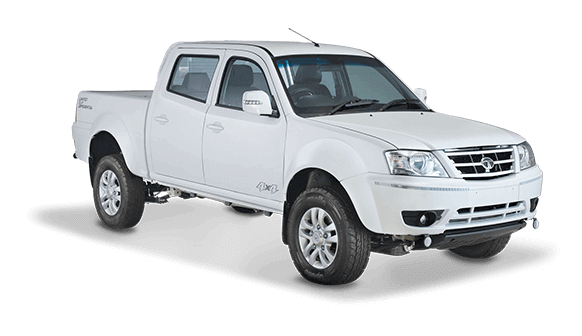 The Tata Xenon crew cabin with the 2.2L engine is a more refined version and has 4x2 and 4x4 models available with high trims to meet customer expectations.